As the general election gets into full swing, we’re asking you to send this postcard to your family and friends in Ireland. You can do this by email or social media or you can print it and send it by post. Please also share it with other Irish people living abroad so they can send it to their families and friends in Ireland. 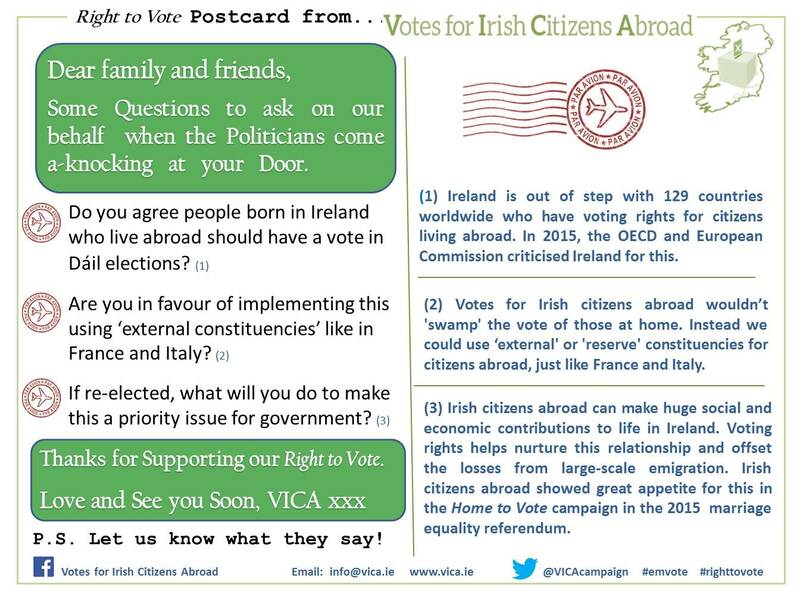 Thanks for playing your part in helping our campaign to give to Irish people abroad their full rights as citizens!